Nemaska Lithium Inc. [NMX-TSX; NMKEF-OTCQX; NOT-Frankfurt] said Friday February 1 that it plans to resume construction at the Whabouchi lithium mine site in Quebec on February 5, 2019. The company said construction activities were put on hold on the morning of January 31, 2019, following a fire in the cafeteria of the Nemiscau work camp. The facility is owned by and operated by an outside contractor that is located approximately 15 km away from the lithium mine site. Nemaska said it has located an alternative cafeteria facility, which is located about 1 km from the existing lodging facility that will be opened to accommodate the company’s employees until mid-March, when the Whabouchi mine site work camp currently under construction will be reopened. “The cafeteria was a very popular social venue for the local community and we are sensitive to the loss, which we hope, will only be for a short time,” said Nemaska Lithium President and CEO Guy Bourassa. On Friday, Nemaska shares eased 1.6% or $0.01 to 62 cents on volume of just over 3.0 million. The 52-week range is 56 cents and $1.85. Nemaska is aiming to become a leading supplier of lithium hydroxide and lithium carbonate to the consumer and automotive lithium-ion battery market. In doing so, it hopes to capitalize on expected growth in lithium demand which analysts say will be driven by the white metal’s key role in the production of batteries used to manufacture electric vehicles. But forecasts of rising adoption rates in the electric vehicle sector and the development of huge battery factories by Tesla Motors Ltd. [TSLA-NASDAQ] and others caused lithium prices to more than double in 2016 and 2017. More recently, lithium prices have retreated from previous highs as some miners ramp up their production. Prices in China, the world’s largest consumer of lithium, plunged to $13,000 per ton in August 2018 from a peak of US$24,750 in March 2018, according to price tracker Benchmark Mineral Intelligence. For its part, Nemaska is hoping to mine lithium contained in spodumene (the hard rock mineral of lithium), initially from an open pit operation at Whabouchi. 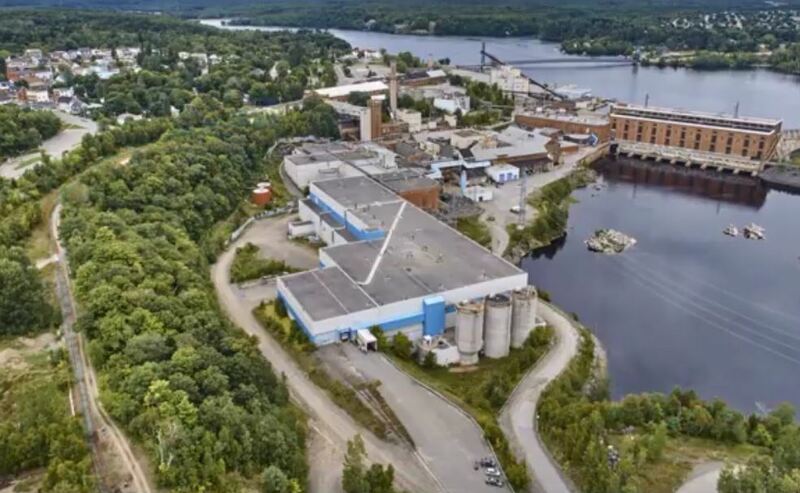 Concentrates produced at the mine site will be shipped to a hydrometallurgical plant in Shawinigan, Quebec, and converted into lithium hydroxide and lithium carbonate. Back in May, 2018, the company said it had raised $1.1 billion for the project, following the closing of a $280 million bought deal offering, an $80 million private placement, and US$350 million bond offering. The company has said it hopes to initiate the commissioning of the Whabouchi mine by the second half of 2019 and start commissioning the Shawinigan electrochemical plant during the first half of 2020. An updated Whabouchi feasibility study announced in January 2018, encompasses a combined open pit and underground mine operation, concentration facilities, tailings and water management at mine site as well as a hydrometallurgical processing facility in Shawinigan. The feasibility study foresees a total initial capital cost of CDN $801 million, average life-of -mine revenue of $581 million per year, and live of mine production of 7 million tonnes of spodumene concentrate. That material would be converted to 770,000 tonnes of battery grade lithium hydroxide and approximately 361,000 tonnes of battery grade lithium carbonate. The estimated mine life is 33 years.